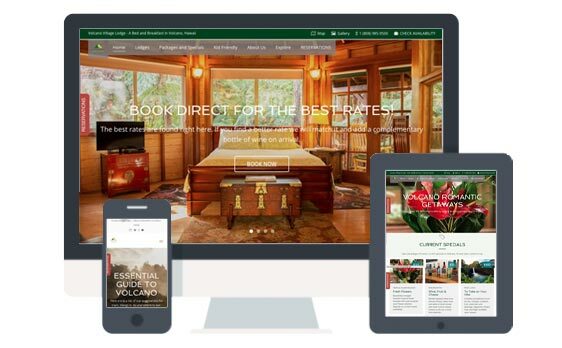 Organic SEO is very cost effective because it is a method of researching and adding keywords to your website that guests are searching for, so for example if you want to rank for something like Hotel in Upstate New York, or Bed and Breakfast in New Orleans then those words need to be on the page. Keyword research, grouping and mapping. Monthly rank building through blog outreach and magazine news placement. Site assessment report, On- Page Report, Monthly Executive Summary Report. Unlike paid ads, where you pay each time someone comes to your website you don’t pay for Organic SEO. These are the results that show up on the search pages when you do a search. The SEO methods we use finds the types of keywords and keyword phrases that guests are searching for when looking for a property. The nice thing about organic SEO is that when it is done correctly it has long lasting results. Over time as your ranking increases your website gains authority with the search engines and gets shown more often to potential guests. Our packages proved on-page optimization and off-page optimization through blog outreach, back-links and other rank building activities. We only ever apply White Hat methods so we do not put your site at risk. Pricing starts at $1,100 for a 10 page site, with no set up fees. The total cost will be dependent on how many pages you want us to do research and optimize.